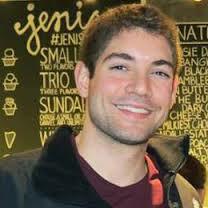 Steven Dux Profitly student and Timothy Sykes Millionaire Trading Challenge Student Turned $27k into $1MM in 1 Year from Penny Stock Alerts. This Steven Dux review will expose the truth about the Steven Dux course and alerts service. The registered Steven Dux Profitly user profile shows he has achieved a profit of over $2.4 Million from trading stocks. 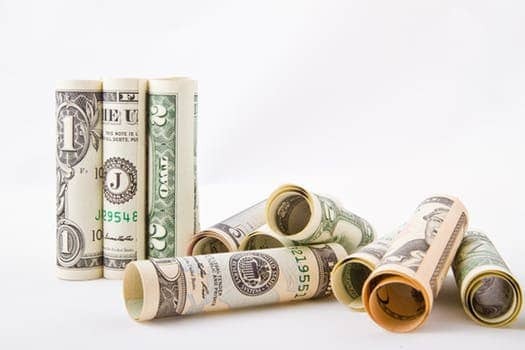 The list of stocks trades is imported directly from a broker account and verified using the Profitly system. Steven Dux Profitly stats are equally as impressive – he is listed as number 3 in verified profits on the entire platform. If you look into the Steven Dux Profitly stats, you find that he has an astonishing 73% win rate! So, who exactly is Steven Dux ? Can the Steven Dux Profitly stats be trusted? We hope to answer some of your questions in this article. Before I get started discussing Steven Dux and his stock trading success, please check out my favorite tools and free swing trading course that I have used to make a ton of money trading stocks! I highly recommend that you read my review of the free swing trading online course (worth $1000!) for more details on how to download the course for free and to see if the trading strategies and chart patterns would work for you. Disclosure: Please note that some of the links on this page are affiliate links. 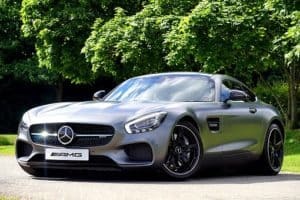 This means that we may earn a commission, at no cost to you, if you decide to make a purchase after clicking through the link. Please understand that we have experience with these companies, and we recommend them because they are helpful and useful, not because of the small commissions that we may receive if you decide to buy something through our links. Please do not spend any money on these products unless you feel you need them or that they will help you achieve your goals. This Stock Trading Alerts Service is where Steven Dux learned to trade penny stocks. It is one of the BEST value stock alerts services around and our readers love it! Meet Steven Dux – the latest millionaire trader that you can learn from and be inspired by when things are looking hard for you on your wealth building journey. Steven is a member of Timothy Sykes penny stock alerts chatroom on Profitly. Here is a good introduction video to Steve Dux! Steven Dux is no ordinary 22-year-old. He double majored in environmental science and accounting at university. It is pretty amazing that he managed to trade stocks while completing his degrees. The guy is a bit of a beast! 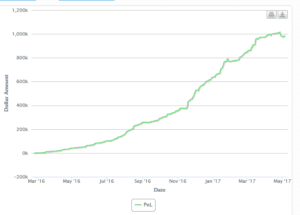 He started trading with decent sized account of $27,000 and turned this into $1 Million in just 1 year! Steven Dux claims to win 85% of his trades with three simple chart patterns. He has only been trading penny stocks for a little over 1 year! Penny Stock Alerts – How Steven Dux learned to Trade Stocks. Steven started to trade stocks after he found an expert trader, Timothy Sykes bragging about his success on Instagram. That does sound like Tim Sykes to me! Like most people when they first come across a trading guru, Steven was a bit wary of paying some guy in an orange Lambo to teach him how to trade penny stocks. But Steven, took the leap of faith and learned how to trade penny stocks by joining Timothy Sykes penny stock alerts chatroom. Steven made over $1 Million trading stocks in just over 1 year! Steven went on to join the Millionaire Challenge program that Tim Sykes offer as his premium elite educational stock alerts service. Despite starting off by learning everything from Tim Sykes, Steven really started to learn from all the world-class traders in the Millionaire Challenge program. He has stated that people like Tim Grittani, Mark Crook and Michael Goode all helped him with developing his successful trading strategy. How You Can Learn the Trading Strategy That Steven Dux Uses! He invested in some additional educational DVDs (most notably Pennystocking Framework DVD and Trading Tickers DVD) where he learned his exceptionally profitable 3 pattern strategy. You can find the Trading Tickers DVD for sale on the Profitly website. I know a lot of people think that these types of stock chatrooms are a ‘scam’. However, I think that Stevens story is a great testimonial that these penny stock chat rooms can be very beneficial and foster some great life changing stories. Steven Dux is known in the online trading community for his exceptional work ethic, even studying penny stock strategies while on the toilet! Steven Dux Trading Techniques – what are his secrets? Here are golden nuggets of advice that Steven Dux has shared, that he follows to ensure he maximizes his stock trading success! Check these out and see if they help you with your own trading. Stevens Secret #1: He has been able to rapidly compound his wealth by putting 85% of his capital into every trade. This is quite different from the conventional advice about diversifying your portfolio and only putting a maximum of 10% of your capital into any one trade. 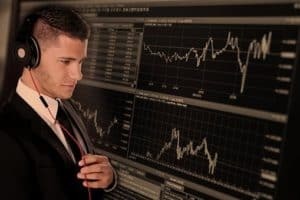 I have seen that Stevens approach is quite common for these young, aggressively successful traders that make millions of dollars very quickly. Of course, this risky strategy only works if you have a solid trading strategy. Stevens Secret #2: Keep it simple. Steven doesn’t use all the fancy technical indicators (e.g. Bollinger bands). Just three simple chart patterns – short trading strategy. Stevens Secret #3: Never use hard stops. Market makers will see your stop-loss and take you out. Then they bring the price right back up to where it was. Stevens Secret #4: Steven only plays a trade when it is PERFECT. Hence, he has an over 70% win rate over a 1-year time frame. If you want to learn Steven’s strategies, be sure to check out the Trading Tickers DVD for sale on Profitly. He learned a lot of his winning strategies from this DVD. Steven Dux is a very analytical stock trader. The Steven Dux spreadsheets are legendary – basically he monitors literally thousands of stock chart patterns to make sure he finds what chart patterns are the best performers in a set time frame. Steven Dux spreadsheets sound pretty crazy, but you have to love his meticulous and analytical style. No guessing for Steven Dux, like I said he is a very analytical trader. What 3 Chart Patterns Made Steven Dux his Millions in Profits? Steven Dux learned from some of the other millionaires that are discussed on this site (like this guy). He combined a lot of their trading strategies and learned from their mistakes to super charge his own success. His success is obvious from his verified profit chart shown below. I could just tell you Steven’s exact stock chart patterns. But the problem is that different technical chart patterns work for different people. Just because Steven has 3 favorite chart patterns doesn’t mean that they will resonate with you. You would have a hard time trading them successfully if you don’t understand his patterns. What is more important than the actual patterns is the skill of mastering your own emotions during trading. This is the real key to trading success! But read on for some insights into how Steven trades stocks! However, for those people who are desperate to know what the patterns are that made Steven money, check out how you can learn them HERE. His favorite three patterns are well-known. Here are the basics of how he trades stocks. All of these are the bread-and-butter trading patterns of Timothy Sykes. Shorting price spikes – this slightly risky strategy involves shorting stocks when they spike in price. Not an easy strategy. First red day for a stock – if a stock has rapidly increased in price as a result of a positive piece of news, this strategy can be used to make some money with a short trade. On the first day that a stock starts to pull-back in price, you short the stock as the momentum starts to reverse. Morning panics – sometimes stocks will become oversold quickly in the morning as everyone panics and sells. Often this leads to a situation where a brave buyer can purchase the stock during the panic and sell later that day as the stock bounces back in price. Steven Dux Trading DVD that he attributes much of his success to. Steven Dux has stated that his favorite trading DVD that he is convinced did the most to improve his trading is Trading Tickers DVD by Tim Grittani. Steven Dux used Trading Tickers DVD to learn stock trading! You can sometimes find the Trading Tickers DVD for sale at a deep discount on the Profitly website. These sales usually occur during the holiday periods. Following the Steven Dux course teachings can lead to huge profits! The new Steven Dux DVD teaches you everything that he has used to turn $27k into $1.3 million by trading penny stocks. The Steven Dux DVD (Trading Techniques) is available online (streaming) and it looks like it has had a very good reception in the trading community. This Steven Dux course is very highly rated. Steven Dux DVD Review – in Trading Techniques Dux explains all his strategies! The exciting new Steven Dux DVD is $900. That is quite expensive for a trading DVD. In the DVD, Steven Dux discusses his 8 different trading strategies. It is extremely comprehensive – maybe even too much information! Trading Techniques DVD is split into 2 parts. Part 1 of the Trading Techniques Dux DVD really just discusses himself and how he got started trading. Steven talks about his broker, how he screens for stocks and how he builds his watch list. In part 2 of the Trading Techniques Dux DVD, he talks about his 4 long trading strategies and 4 short trading strategies. The Steven Dux course is highly recommended! Timothy Sykes released his trading DVD called Trader Checklist for free in 2016. You can learn from the lessons that Trader Checklist teaches for free just by going to YouTube. Timothy Sykes taught Steven Dux how to trade stocks and you can learn some of the techniques that Tim taught him for free. That is truly awesome! This year, a new DVD called Trader Checklist Part Deux is being released (for sale here). It is likely to be a great trading DVD and will likely feature Steven Dux. Steven Dux learned from the famous Pennystocking Framework DVD that Timothy Sykes produced. I am not that big a fan of the Pennystocking Framework DVD – it is just a recording of Tim Sykes (and many others) talking at his annual Pennystocking conference in Las Vegas. However, it does have a lot of great information in it – but it is expensive, and the production quality is not that great. If you want to check out Pennystocking Framework DVD, Tim sells it on his website here. There is also an updated Pennystocking Framework Part Deux just being released now. I am not sure why Tim likes to use ‘ Part Deux ‘ in all his sequel DVDs…. Tim Grittani (pictured) also appears in the Pennystocking Framework DVD along with Michael Goode (another Tim Sykes Millionaire student!). What always amazes me is just how humble and hard-working these millionaire traders are. Steven Dux is no exception. The guy works non-stop and has learned from the best traders out there. I think what has made Steven so successful is that he has not been afraid to re-invest in his trading education and to work extremely hard to become successful. In his DVD, Trading Techniques Dux explains his strategies and insights that have helped him to master the penny stock market. Unfortunately, Trading Techniques Dux DVD is priced at around $900 which is pretty expensive for new traders. Profitly has the Trading Tickers DVD for sale at a very reasonable price. To me this DVD is totally worth the price! 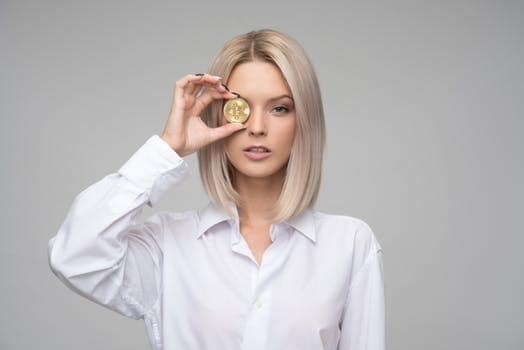 I hope that this article has inspired you and please check out more about Steven Dux online to read more about this fantastic trader. I hope that you enjoyed my article about Steven Dux the self-made Millionaire Trader from Penny Stock Alerts! Keep checking back for my Steven Dux DVD review! Be sure to check out the Trading Tickers DVD for sale on Profitly if you get the chance. Please comment on this Steven Dux review if you have experienced this amazing trader! Don’t miss this FREE Swing Trading DVD (Worth $1000) AND get free instant access to THREE more stock trading training DVDs worth another $4,000 !! 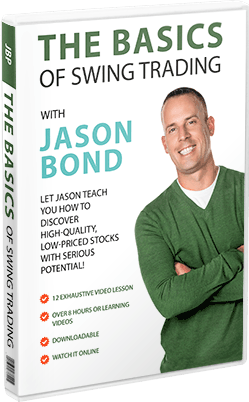 I wrote a full review of this swing trading DVD here.